I’m a big fan of horror games – in fact it’s probably my genre of choice. I’ll Kickstart them (Agony, Scorn), I’ll play them in Early Access; I’ll pretty much give anything a go. When S.O.N was announced in March of last year my interest was piqued. It seemed like it had potential to be an immersive narrative-focused horror experience in the vein of SOMA. But sadly, S.O.N (which stands for South of Nowhere), is a disappointing jaunt that barely lasts an hour and lacks any real emotional impact. It’s worth noting that this game is currently unavailable in Australia (European PSN store) and is only available via the US PSN store, priced at a whopping $20 USD. Furthermore, the development of S.O.N suffered some fairly major setbacks last year, with developer RedG Studios delaying the game and confirming they had to cut content due to hardware limitations. S.O.N’s premise centres around Robert Alderson – a hapless drunk who is searching the Pennsylvania Clarencaster forest (aka South of Nowhere) in search of his missing son Jay. As Alderson searches the forest, he will be forced to face his darkest fears and the demons of his past in order to find Jay. With a premise like that it’s hard not to be excited about its potential, but sadly every bit of it is squandered. In fact, if you went into this game blind you’d probably have no idea what the game was even about even once you hit the credits, or you’d think it’s about something entirely different. 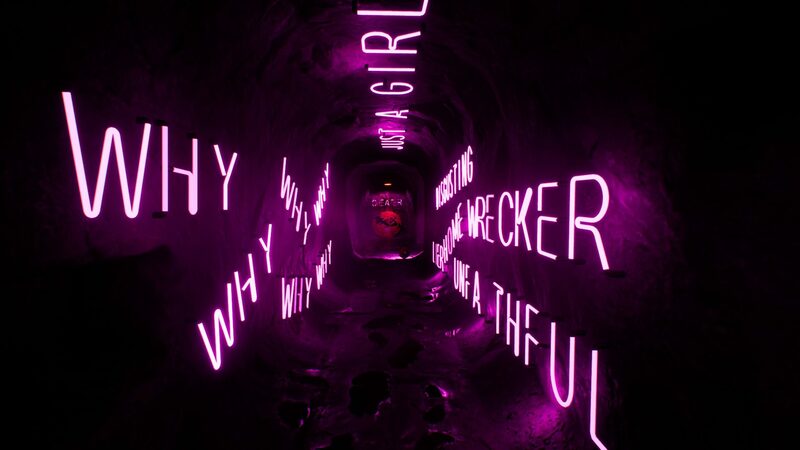 S.O.N’s narrative is told through messages written in blood on walls, neon signs and other items strewn across the environments. It paints a sinister picture, but one that fails to pull you in enough to care about Robert’s search. There’s no opening cinematic or something to set the scene as to why you’re in the forest. You’re there because you’re there. Making it harder to understand the game’s premise is the fact that there’s no dialogue. Your character doesn’t speak – he doesn’t scream, he doesn’t huff and puff after running (his footsteps don’t even make a sound) – he doesn’t show any emotion for his missing son. Even the gameplay lacks any real emotive feeling. Essentially all this game requires you to do is to walk around (almost aimlessly) for roughly an hour, pick up a few keys, unlock some doors and look at your surroundings. It’s about as humdrum as it comes. From what I understand the game has multiple endings, although I have no idea if I got the ‘good’ or the ‘bad’ ending. But nothing about the experience made me want to go around again to find out. S.O.N also prides itself on having ‘strategic lighting’, meaning that instead of having a flashlight handy, Robert relies on lampposts and other environmental lighting to lead the way. While it’s a neat concept, its execution leaves a lot to be desired – often resulting in areas so dark you cannot see where you’re going. Three times during my playthrough I got stuck in the environment and was forced to restart – twice because I was unable to see my surroundings properly. Thankfully I didn’t lose much progress as a result. Where the game does do a relatively good job is when it comes to building tension, especially throughout the latter parts of the game. 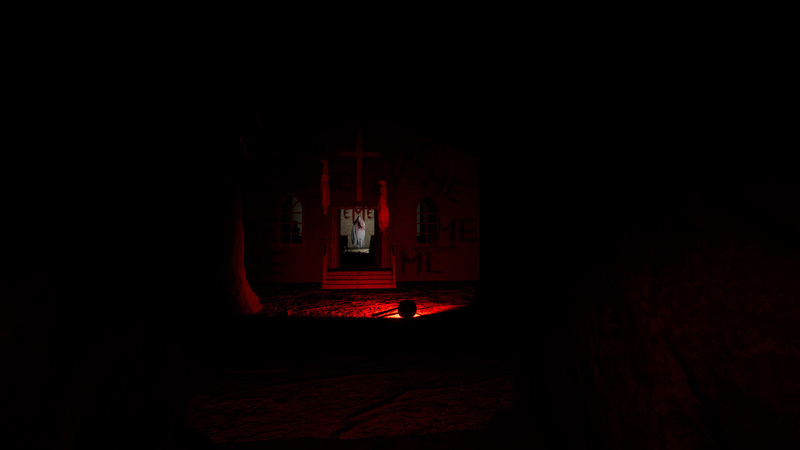 However it’s a game that still relies heavily on horror tropes such as jump scares. 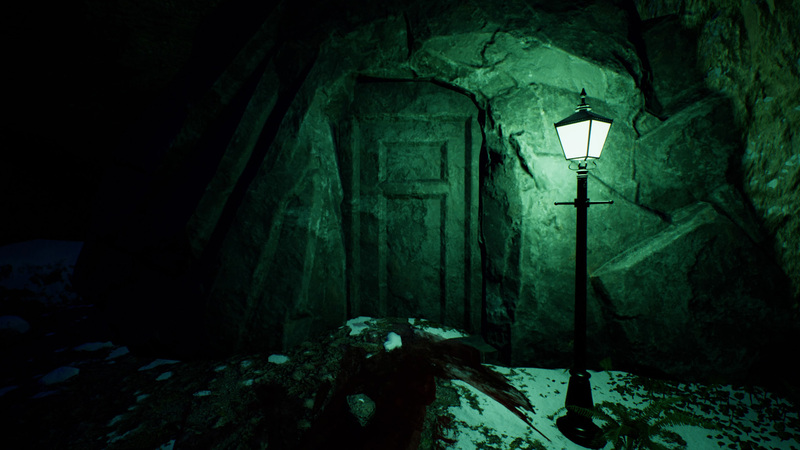 Now I am not averse to the odd jump scare, but S.O.N is at its best when it’s using the game’s atmosphere against the player – instilling the perception of fear – which at times S.O.N does really well. Visually it’s a little rough around the edges, but for a dev team of two people they’ve done a fairly good job, especially when it’s their first major release. The most important part is that it runs without any issues. A game doesn’t have to be laden with game mechanics or be 30+ hours long to be good. But when you’re charging $20 USD for what is essentially a two-hour game you’ve got to make sure it’s worth every cent. What Remains of Edith Finch showed us how strong short and sharp games can be when there’s a narrative that is expertly crafted to elicit an emotional response. Sadly S.O.N fails to connect the player and Robert’s plight in a meaningful way, which not only is a huge disappointment but is a huge missed opportunity for RedG Studios.